To be honest, I can’t believe that after all these years of blogging I haven’t told you about them yet, you should revolt or something. Just kidding, please don’t. I don’t even remember if I found the recipe somewhere or someone told me about it or if I just experimented on my own. 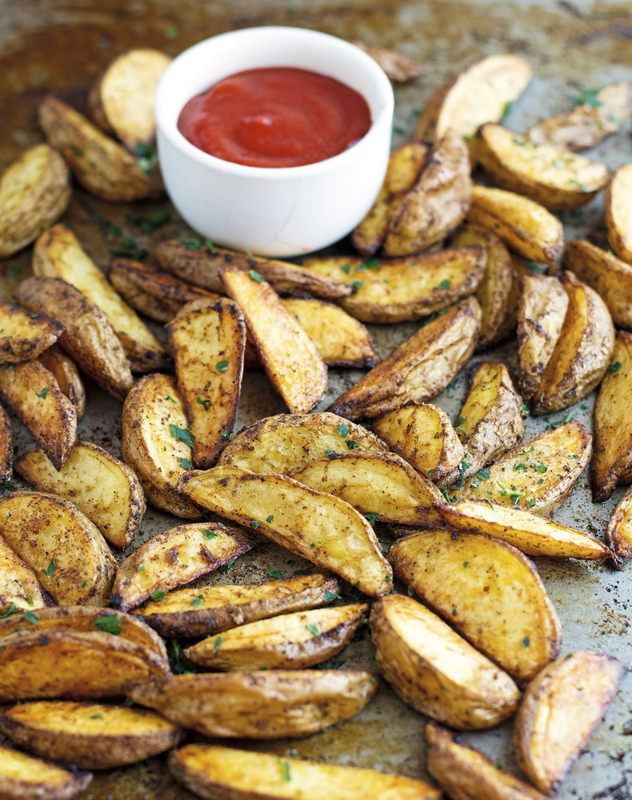 It’s as simple as it gets: Potatoes cut into wedges, oil, salt, pepper, paprika, and garlic powder, pop in the oven, and voilà: awesomely crispy, packed-with-flavor, potato wedges. This is the perfect healthier option to french fries and since they're baked you can eat more than your fair share of. Chunky savory wedges that are a real delight and perfect for busy weeknight meals. They’re so good, they taste like what you’d get from a restaurant. Roasting the potato wedges at a high heat makes them perfectly crunchy on the outside, while remaining soft and fluffy on the inside. The combination of spices adds bright and sharps flavors and using just a bit of oil makes them less oily in taste and, of course, much healthier than deep fried. 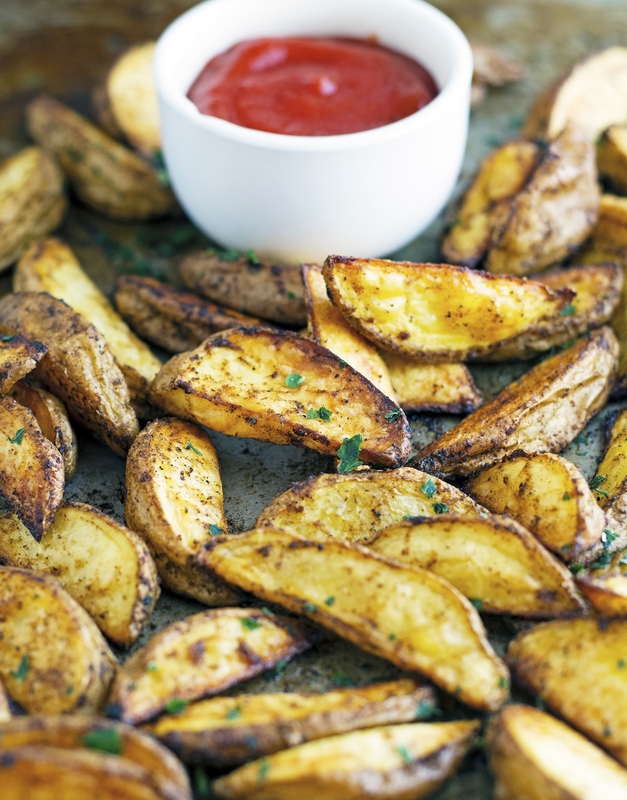 These Salt, Pepper and Paprika Potato Wedges are a perfectly versatile side dish that works with anything from steak to salmon. They are definitely a crowd-pleaser and believe me when I say that these are so much better than any store bought frozen potatoes you can ever buy. 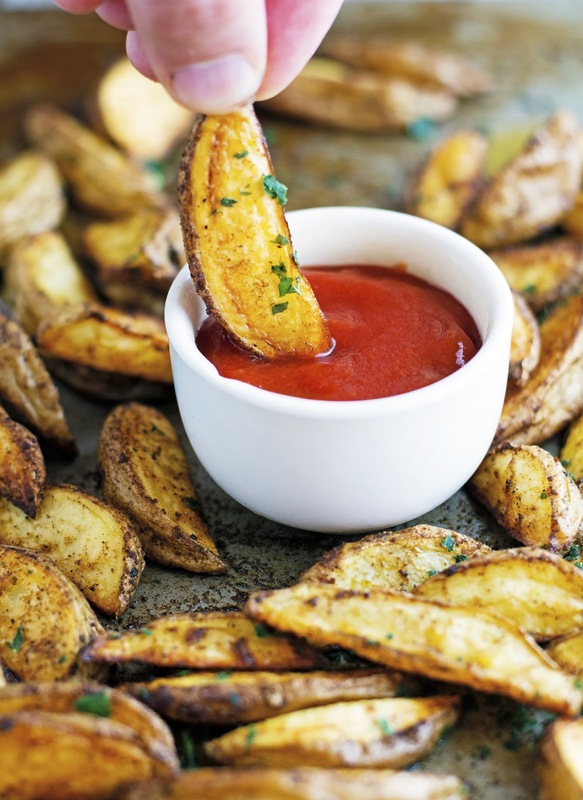 Salt, Pepper and Paprika Potato Wedges Print this recipe! Preheat oven to 375°F (190°C) and place a rack in the middle. 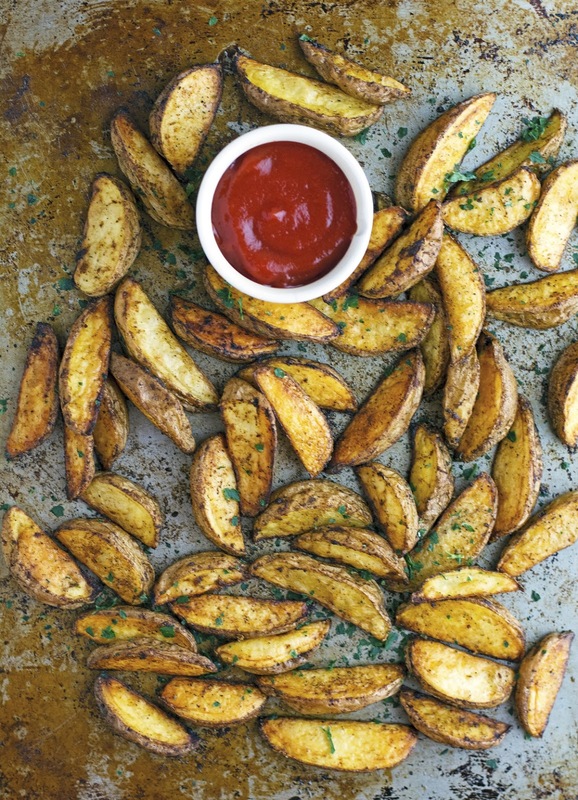 Pat potatoes wedges dry with paper towels and place them on a baking sheet. Drizzle with oil and season with salt, pepper, and paprika. Toss with your hands until the wedges are evenly coated. Roast in the oven for about 35 to 40 minutes (depending on how big the wedges are), flipping halfway through (at about the 20-minute mark.) The potato wedges should be golden brown and crisp. Sprinkle with chopped fresh parsley and serve hot. One serving yields 162 calories, 7 grams of fat, 24 grams of carbs, and 2 grams of protein.